The Marathon of Cancun is at its 35th edition. An absolutely beautiful and scenic race course that you will never forget. 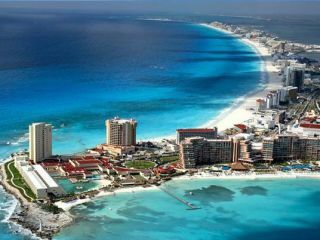 You will run all along of the bay of Cancun, by the lagoon and the hotel zone. A Mariachi band will be waiting you at the finish to make you forget that you ran a marathon or even the half marathon. When the gun fires, you will run straight down the big Bonampak Avenue. During the first kilometers you will pass hundreds of supporters, friends or family who will be showering you with words of encouragement. Enjoy the view and the beautiful avenue that leads you to the very touristy hotel zone, between the Caribbean Sea and the Nichupte Lagoon. Finish: Malecón Tajamar, Avenida La Rambla. Check the race course and seewhat we're talking about!